Sheung Wan was by far my favorite area when I was in Hong Kong. It reminded me of Le Marais in Paris, and I came across many shops, cafés and restaurants. After having fried noodles at Tsui Wah at 3am, I was unable to eat anything the next day. 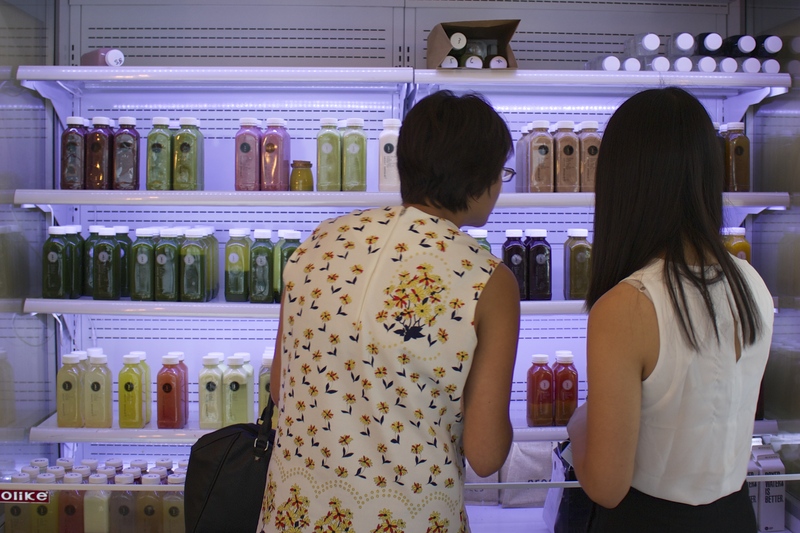 I went to Pressed Juices on Hollywood Road: they have Juices, smoothies but also different flavor of almond milk. I tried their greens (N°1&N°2 : apple, celery, cucumber, kale, lemon, lettuce, parsley, spinach). You can also order by phone if you are on a cleanse. When I said to the salesperson that I was here for traveling they recommended me to visit the PMQ building, which was just in front of the juice store. 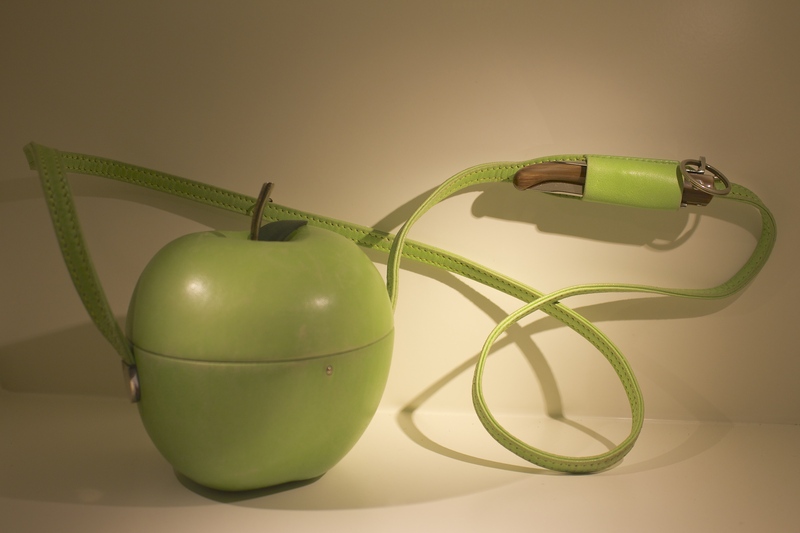 I was very lucky because it was the last day of the exhibition « Leather Forever » organised by Hermès. A craftswoman was making a Birkin bag and there was a mise en scène of all their other iconic bags. This apple bag was I think not on sale, but I found it perfect with its little compartment for the knife. 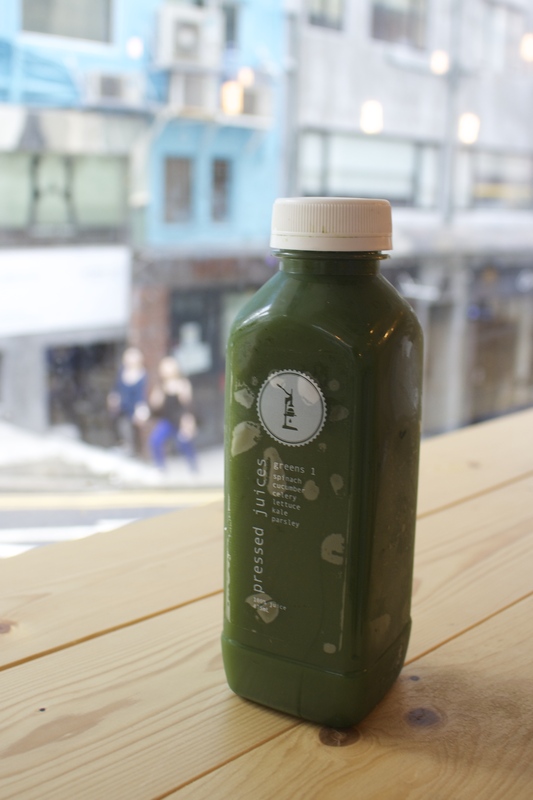 Pressed Juice is located in 81, Hollywood Road & PMQ: 35, Aberdeen Street. Vous lisez actuellement Wandering in Sheung Wan – Hong Kong à Sugarsheet.